DONETSK, February 10. /TASS/. Ukraine’s armed forces opened mortar fire on the outskirts of Donetsk and southern territory of the self-proclaimed Donetsk People's Republic (DPR) late on Sunday, an official with the representative office of the republic told the Donetsk news agency at the Joint Center for Control and Coordination of the Ceasefire Regime (JSCC). "Today, between 4:40 to 5:15 pm we registered shelling by the Armed Forces of Ukraine in the direction from the settlement of Avdeyevka towards the settlement of Yasinovataya. They launched four mines with a caliber of 82 mm and 22 mines with a caliber of 120 mm," according to the report. 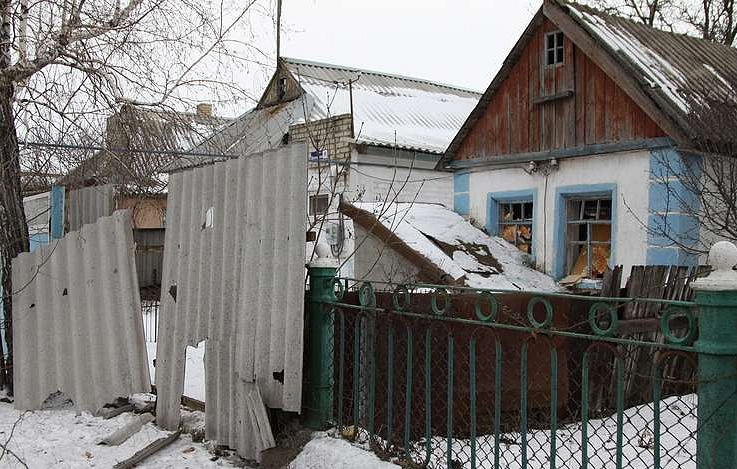 The Ukraine armed forces shelled the village of Spartak in the northern suburb of Donetsk, as well as the village of Leninskoye, Oktyabr and Sakhanka in the south of the DPR. The shelling was conducted from infantry combat vehicles, grenade launchers and small arms, including large-caliber arms. Earlier on Sunday, the People’s Militia of the republic reported that the Ukrainian army was conducting military exercises near the line of contact using weapons prohibited by the Minsk Agreements. Also in the conflict zone in the Donbass, the DPR intelligence detected the arrival of additional heavy equipment, in particular nine units of self-propelled guns Pion, as well as three Strela-10 anti-aircraft missile systems. The latest ceasefire entered into force on December 29, 2018, ahead of the New Year and Christmas holidays in Donbass. The truce was reached by members of the Contact Group on the settlement of the crisis in Donbass. The sides have agreed more than 20 ceasefires since the start of the Donbass conflict, but no lasting truce was reached.